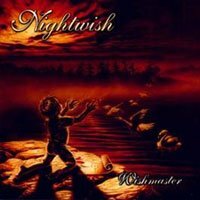 NIGHTWISH - WISHMASTER RE-ISSUE (LP) | Online Shop | Wizard LTD.
Third release from Finland&apos;s finest opera-style metal band. This album originally came out in May 2000 when it was released in Europe. The female vocalist Tarja sings in a powerful operatic style, backed by other vocals and jetting from fast to dreamy ballads.